Sharpen your teaching skills and advance your career with Lipscomb’s Master of Education in Teaching, Learning and Leading. We focus on pedagogical theory while equipping you with practical strategies to serve as an educational leader. Everything we do is meant to be applicable for your classroom. You’ll gain a solid foundation in research-based instruction, curriculum, teaching tactics and effective data use. And, our program is specially designed to feed your interests: after you complete your core classes, you can take fifteen hours of elective courses. 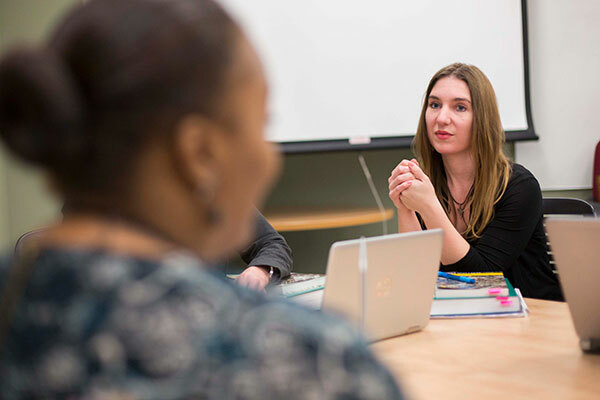 You will take Action Research as a three hour elective and choose 12 hours of electives from courses offered across any of our graduate education programs. Elevate your abilities with one of the leading graduate teacher preparation programs in the nation. Your dedication to honing your craft will make a tangible difference in shaping the competency and confidence of the next generation. You can choose four elective graduate courses in areas that interest you. 15 hours of electives chosen to support individual learning goals. *Special Topics include courses such as "Covey's 7 Habits of Highly Effective People" (3) and more.